Livingston home in a quiet neighborhood on the very edge of town, with fishing out the back door. Anglers can hit the river and the rest of the crew can walk to downtown! 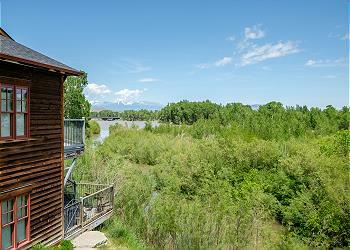 Stunning views across adjoining city park land and Yellowstone River to the Absaroka mountain range. Please note: Hot tub will not be available September 15- November 1, 2019. 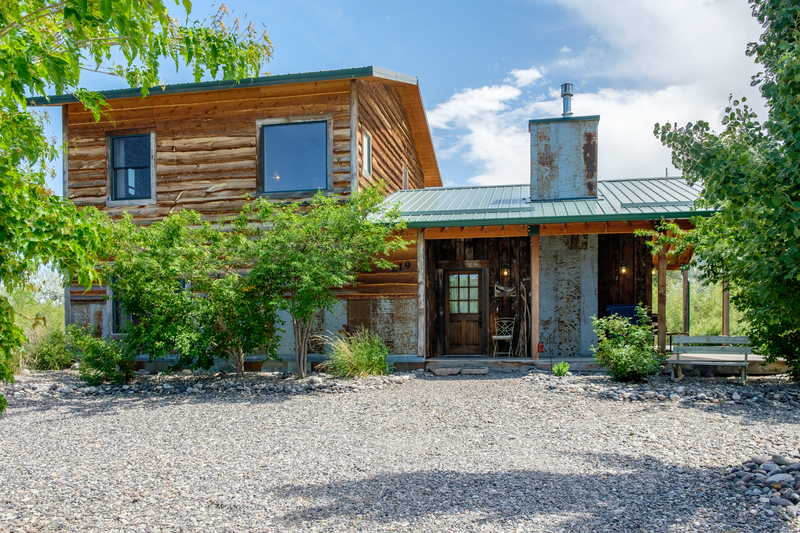 BRIEF DESCRIPTION: This four bedroom home is located on the eastern edge of Livingston with fabulous views of the rugged Absaroka Mountains to the south and the Crazy Mountain range to the east. The home has a rustic, western style with use of recycled barn wood and metal in the design. 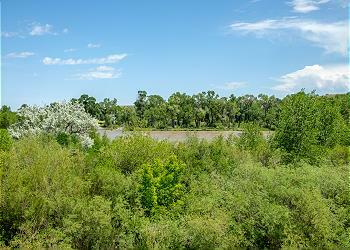 A small creek, actually the North fork of the Yellowstone River, flows right past the deck in the back yard. The creek has beavers, ducks, geese and otters to entertain those who just want to relax on the back deck. Across the creek is a large city park called Mayor's Landing. 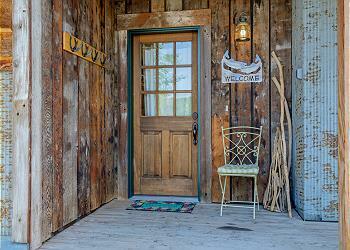 GENERAL LOCATION: The home is located on the eastern edge of town. A great little coffee shop is 3 blocks away and the main part of town with shopping and restaurants is 10 - 15 blocks from the house. 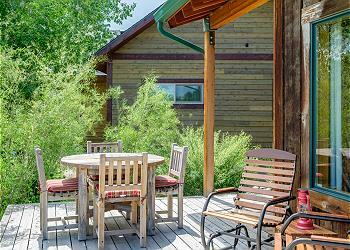 It is a one hour drive to Yellowstone National Park and about 45 minutes to Bozeman's Gallatin Field airport. 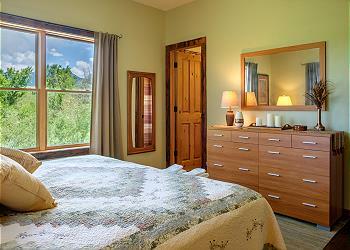 BEDROOMS AND BATHROOMS: There are four bedrooms in the home and four full bathrooms. 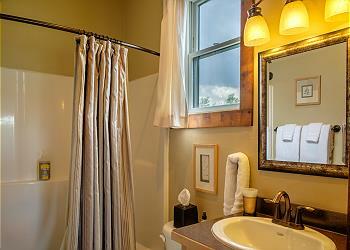 On the main level of the home is a master bedroom with king size bed and an attached private bath with stall shower. 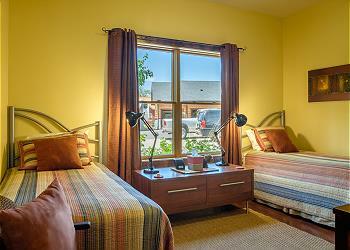 The second bedroom has two twin size beds. There is a full bath with tub and shower out in the hallway. 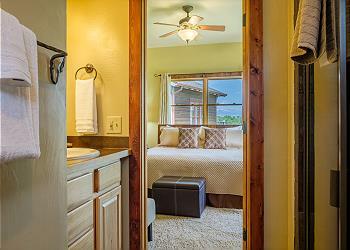 Upstairs is a second master bedroom with king size bed and attached bath with a double shower. There's a flatscreen TV in this bedroom with cable. The second upstairs bedroom has a queen size bed. There is a full bathroom with tub and shower out in the hall. 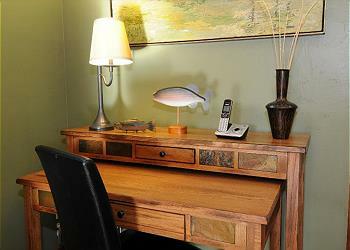 All bedrooms have iHome docking stations. 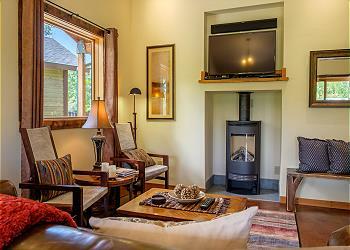 Anglers Rest can accommodate up to eight guests. 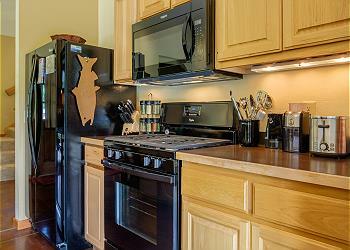 KITCHEN AND DINING: The home has a complete kitchen with a gas range and oven, dishwasher, microwave, coffee maker and grinder, blender -- all the essentials! You will have all the cookware and serving ware you need for your crew. A nice gas grill is out on the deck for barbecues. The dining area is just off the kitchen, with an oak table that seats six to eight comfortably. There are a couple of stools at the kitchen island for overflow. The wrap around deck is set up with plenty of seating for those outdoor meals. LIVING ROOM: The cozy living room is centered around the fireplace (gas-fired), which makes a great place for relaxing after a day of hiking, fishing or exploring. The living area is set up with a flat screen television with cable service and DVD player, and a stereo system with CD player. 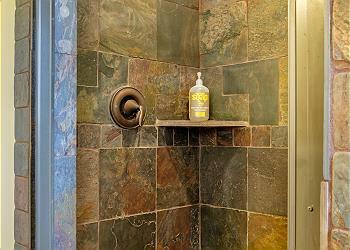 OUTDOOR AMENITIES: A huge deck wraps around the home with a large hot tub for soaking and star gazing. 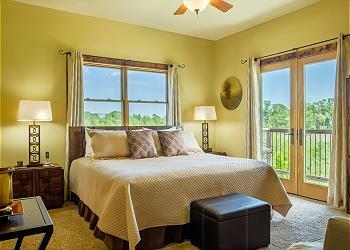 ACTIVITIES NEARBY: Catch a trout just off the back deck before breakfast, or enjoy this bird watcher's paradise, with eagle, osprey, kingfishers and more in abundance. In addition to the amazing access to the Yellowstone River from this great location, you can walk to downtown and it is just a short drive to hiking, biking, rafting, and horseback riding in the summer months, and skiing and snowmobiling in the winter months. Yellowstone National Park is less than an hour away. Staying at Angler's Rest was one of the most magnificent vacations our family have ever been on. The house was beautiful and sat majestically on the Yellowstone River where just sitting outside on the porch and musing about the beauty and serenity of nature lowered our blood pressure by 50 points. It had every convenience we could ask for. The neighbors and townsfolk were so friendly, we were all ready to pack up and leave the big city of So. California and move to Livingston, Mt. We came home refreshed, rejuvenated, and renewed. We would recommend this vacation to any and everyone. 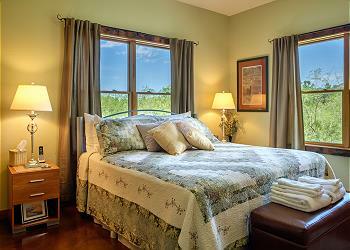 We recently stayed at Angler's Rest and had a marvelous time. 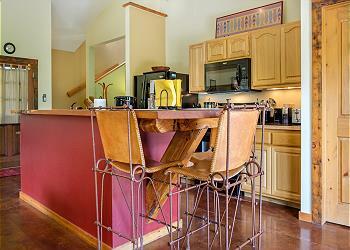 The home has all of the space and conveniences you could possibly want while vacationing. The views are spectacular especially at sunrise. Even though the house is located in town you don't feel like you are in town when you look across the creek and river to the beautiful mountains. We highly recommend Angler's Rest!!! It was warm, welcoming, very clean, had all the amenities we could ask for and more! Loved that linens and towels were all white- could trust that everything really was clean and tidy. Thank you for your review on Angler's Rest! We are glad you had all you needed for a wonderful vacation and enjoyed the home. We hope to have you as our guest again! Hello Brandon and Christy! 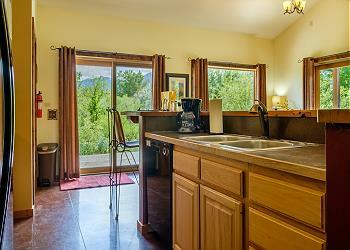 Thank you for your review of Angler's Rest and Mountain Home Vacation Rentals! We are very glad the home provided a comfortable base camp for your Montana adventures! We love hearing that our guests have enjoyed one of our properties. Let us know when you are planning your next trip, we would love to have you as our guests again! Traveled with 3 adults, 1 Boykin Spaniel and a 4 year old. House just a short walk to downtown Livingston. The town has wonderful local places to eat or grab a local brew (coffee/beer) and a great casual vibe. Beautiful house right off a shoot-off stream from the Yellowstone River. We fished just feet from the deck & let the dog swim throughout the day. Many birds and a beaver to watch from the deck. Hot tub with views of 2 mountain ranges. Clean and comfortable house. 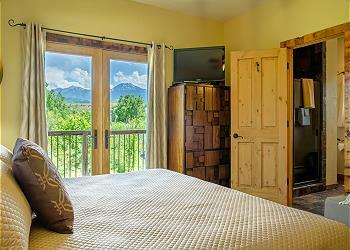 Upstairs master balcony has great view of mountains. It would have been absolutely perfect if it had air conditioning. We stayed Jun 4- 9, 2015 and it was in the mid to upper 80's during the day. Even sleeping with the windows open just couldn't cool the upstairs enough to be comfortable. Would have been nice to have a ceiling fan in living room. Would definitely stay here again in the fall when cooler! 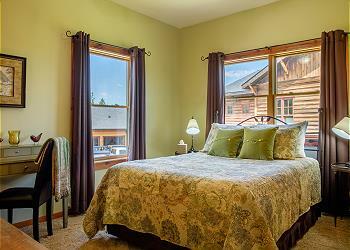 Thank you for your review of Angler's Rest on the Yellowstone! We are glad you enjoyed your time at the home and in Livingston. It is not as common in southwest Montana to have air conditioning in your home. Currently 10% of the homes we manage have air conditioning. We do try to make sure there are either ceiling fans or floor fans throughout the homes to get air circulating. We will make sure that the home is equipped with enough fans to go around! Thanks again and we hope to have you as our guests in the future! Thank you very much for your wonderful review of Angler's Rest and Mountain Home Vacation Rentals! We are glad you enjoyed the home and had all you needed for a great vacation. 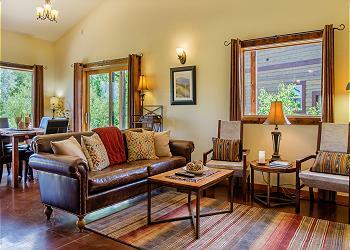 We love to hear when our guests enjoy our properties and enjoy Montana! Thank you again and we hope to see you again!